The U.S. municipal bond market reached a new milestone by issuing more than $445 billion in municipal debt in 2016. It also brings up a crucial need to monitor this industry for various types of fraud. In recent years, the Securities and Exchange Commission (SEC) has tried to not only protect investors, but also bring transparency to the U.S. municipal bond market while trying to prosecute perpetrators of fraud. Historically, the SEC mainly focused on bond lawyers, underwriters and other members of bond financing teams to accomplish these two goals. However, recently it has also shifted its focus to municipalities and their officials. Although municipal issuers were always subject to antifraud requirements under federal securities laws, the SEC has started enforcing these requirements with legal action against both entities and individuals. In this article, we’ll take a closer look at disclosure requirements for municipalities, rising issuance cost of municipal debt and ways which muni investors can follow the SEC’s guidelines to protect themselves from potentially fraudulent issuers. In 2016, the SEC announced that it would be bringing enforcement actions against 71 municipal entities and officials for violation of federal securities laws. This entailed both municipalities and underwriters who either omitted or misrepresented information on bond documents and continuing disclosures. Muni underwriters: Under the SEC rule 15c2-12, when a municipal debt underwriter enters into a transaction with a municipality for debt issuance, it must ensure that the issuer agrees to provide ongoing information like the entity’s financial information (including debt related disclosures) and operating data to the Municipal Securities Rulemaking Board (MSRB) through Electronic Municipal Market Access (EMMA). Muni issuers: Along the same lines, muni issuers are also required to disclose any “material events” such as delinquencies in debt service (interest or principal), changes in bond ratings, bankruptcy and other events that can impact the credit quality. Read Due Diligence for Muni Bonds to have a better understanding of the regulatory framework. How Is the SEC Trying to Protect a Muni Investor’s Rights? In the midst of the SEC’s crackdown on various municipalities, underwriters, lawyers and other financing officials, it has recommended various measures to alleviate potential municipal financing fraud and protect investors. Keep our Municipal Bond Glossary handy to get familiarize with the various terminologies used by the market participants. In 2012, the SEC highlighted the need for better transparency to protect its investors. It also recommended various new ways to achieve this goal, including the need for complete municipal debt disclosures and other financial data in a timely manner. Official statement before debt issuance: This requirement applies to both the issuers and underwriters of municipal debt. In addition to continuing disclosure of existing debt, municipalities were required to prepare and issue an elaborate official statement prior to any new debt issuance. The official statement included details about the issuer, debt structure and covenants among others. Potential investors can familiarize themselves with the credit quality of the debt and management expertise of the issuer even before making an investment decision. Internal disclosure policies: Each municipality with a municipal debt portfolio of more than $10 million is to adopt internal controls for identifying and reporting any material events as well as written policies and procedures for annual continuing disclosures. This entails designating proper staff to draft, review and disseminate the appropriate disclosures. Following GASB: In addition to disclosures and other notices, the SEC asked for higher oversight to make sure all financial statements (disseminated via EMMA) are following proper accounting standards in compliance with the Governmental Accounting Standard Board (GASB). Opportunity for voluntary disclosures: The SEC introduced the Municipal Continuing Disclosure Cooperation (MCDC) initiative to encourage voluntary self-reporting of material misstatements and omissions in municipal bond documents. This initiative was the key for issuers and underwriters to mend their previous wrongdoings with favorable settlement terms. 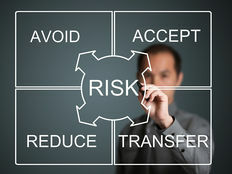 Mainly, the settlements included issuers or underwriters to implement proper policies and procedures for their continuing disclosures, comply with existing disclosures and material events (delinquent filings) and disclose these events in the future bond offering documents and cooperate with any SEC investigations. Check out the different ways to invest in muni bonds to stay up-to-date with the current investment strategies. Before you make an investment decision, keep these factors in mind as far as issuer compliance is concerned. 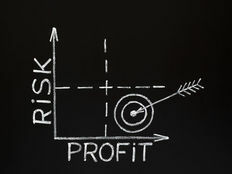 Consider fair pricing: While all this financial scrutiny has put investors in a better place to be informed, it has added to the financial burden on issuers. The underwriting and legal costs for any new issue can already be in the millions. As a result of several SEC crackdowns, municipalities are bound to clean up their internal controls and put proper policies in place so as not to make any misstatements or omit facts. This has led to added administration costs as additional manpower is required to meet these compliance needs. Now, the majority of the issuance cost including underwriting fees, bond counsel fees and fees for external municipal advisors and other parties tend to be part of the total issuance cost. Due to tighter regulations, these fees have gone up and some of these costs might be passed on to investors. So investors should consider if they are paying a higher price, especially for bonds issued by smaller issuers. Availability of higher quality muni bonds at a higher cost: Under the new presidential administration, which has promised infrastructure growth in the U.S., these policies are likely to serve well as the majority of cities and states are now aware of the disclosure norms for muni bonds. Moreover, municipalities that have complied with MCDC and other of the SEC’s suggestions, both for disclosures and their accounting standards, are looked favorably by rating agencies. Despite higher costs, better compliance can lead to a higher quality of muni bond issuance. 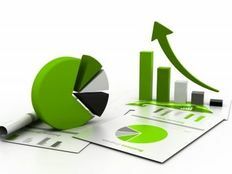 As municipal markets are revamping their policies, procedures and internal controls to mitigate the risk of misstatement and disclosure mistakes, investors should feel much more comfortable in their ability to make sound investment decisions based on the additional disclosures. Be sure to visit our Market Activity section to explore recent muni bond trades. By becoming a Premium member, you can get immediate access to all the latest Moody’s credit reports for municipal bonds across the U.S. and enhance your analysis for a specific security.